Within Teamwork Projects, you can set specific permissions to allow a user to edit a file that has been uploaded by any user. By default, this permission will be disabled when a person is added as a user to a project but if you upgrade them to project admin they can then edit any project file. To enable the permission to edit files, go to the People section to the top of the screen. From the list, click the name of the user you want to update, to view their profile. Then click the green edit button to the top right of their profile. In the user details modal, select the Permissions tab. 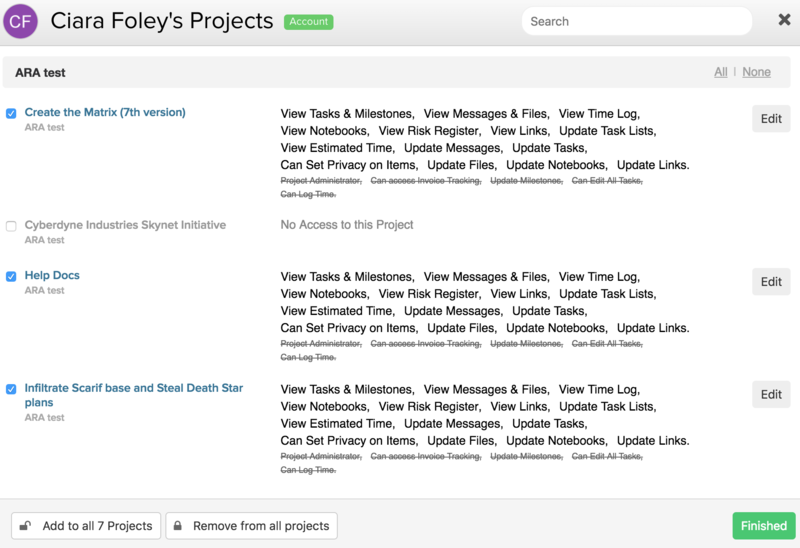 Near the bottom you will see what project access the user currently has. Click Edit. 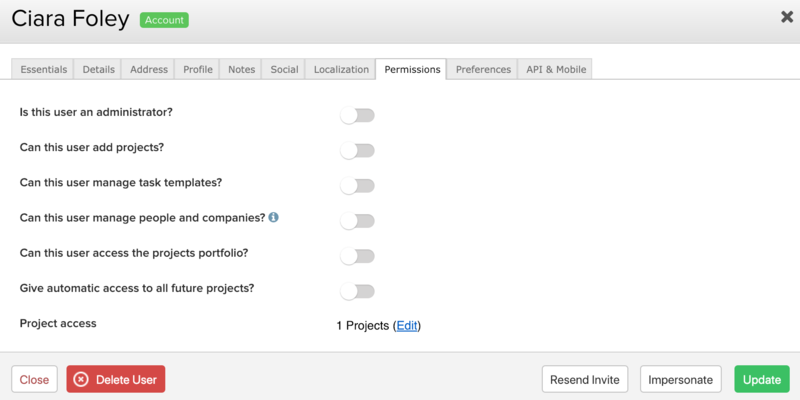 Next to the project you want to update permissions on, click the edit button to the right. Under the View Messages and Files permission, you can toggle on the Update Files option to allow the editing of any updated project file. Note: If you disable this permission, the user will be unable to edit existing files or upload new files to the project.